Janice came to us wanting a beautiful new brand that reflected her individual coaching style and of course, a gorgeous, lead-generating website and blog to start promoting her coaching services. So if you L-O-V-E calming color palettes, heart-felt words, beautiful page layouts and omg-yes marketing funnels and opt-ins, you're going to love this one! Woohoo! Pop the bully! I'm so excited for this first branding + website launch of 2016...it's going to be a freakin' fantastic year my friends! If you love luxurious, swoon-worthy interiors, then (please oh please!) keep reading. You're seriously going to be head-over-heels with this one. Pearl Design is a luxury boutique interior design firm based in Houston, Texas. I fell in love (literally at first sight...) with their gorgeous interiors on Houzz - from styling the Montage Beverly Hills Penthouse for Modern Luxury Magazine's 2015 cover with Empire star Taraji P. Henson to transforming ordinary spaces into major design eye-candy. Today we're chatting about our top tips for getting your images published on blogs, websites and magazines through Two Bright Lights. We get it - between juggling photoshoots, editing, generating new leads, delivering photographs, communicating with clients and so many other responsibilities - submitting your images to publications usually falls to the [very] last thing on your list! Pop the bubbly! The new site is finally live!! [insert happy dance here]. To all my fellow designers - you know how tedious + incredibly exciting it can be to undertake your very own redesign. Whew. After the launch of The Bucketlist Bombshells and The Work Online + Travel the World Course in June, to be totally honest, I was incredibly exhausted and just plain burnt-out. Running my own business is equally the most rewarding and the most challenging journey I've ever been on. I’m so excited to give you an inside look at the finished brand and website for one of my latest clients, V Mode de Vie! Vennesa and I connected months ago as she was venturing into running her own interior design business and concept store in Dallas, Texas. I was immediately pulled in by her utter passion and love for all things design: from gushing over the tiny details to discussing colors – ohhh we we’re a client match made in heaven. The Bucketlist Bombshells has been a passion project of mine for over a year now. Myself and my best-friend and business partner, Shay, the techie behind My Bliss Publishing, are the co-creators of The Work Online + Travel the World Course: a 6-week interactive online class teaching new graduates how to build an online business giving them the freedom to travel the world! I’m excited to share with you one of my latest projects working with a client from Amman, Jordan! The owners of Farah Shop, one of the most distinguished bridal and evening wear boutiques in the region, recently expanded to build ZIY, an exclusive semi-casual wear collection for trendsetters in the Middle East. First, I worked closely with them to design a logo that appealed to both an Arabic and English speaking audience, along with incorporating a sophisticated and trendy vibe. Digitally Brewed is a digital design studio & business + design resource for creative entrepreneurs. Meet Cassie. 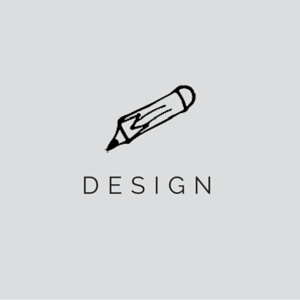 Subscribe to get exclusive design + business tips straight to your inbox! 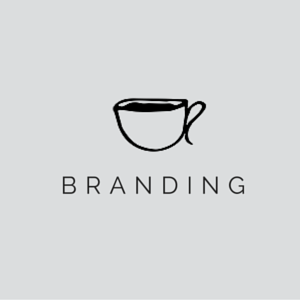 Visit Digitally Brewed | Entrepreneur + Branding Tips's profile on Pinterest.